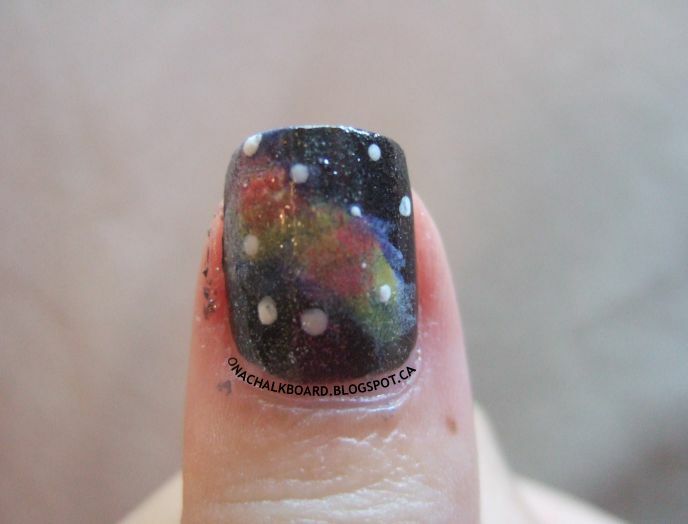 In honour of FanExpo, a Comic-Con-like event happening here in Toronto, I have decided to do an outer space themed mani. 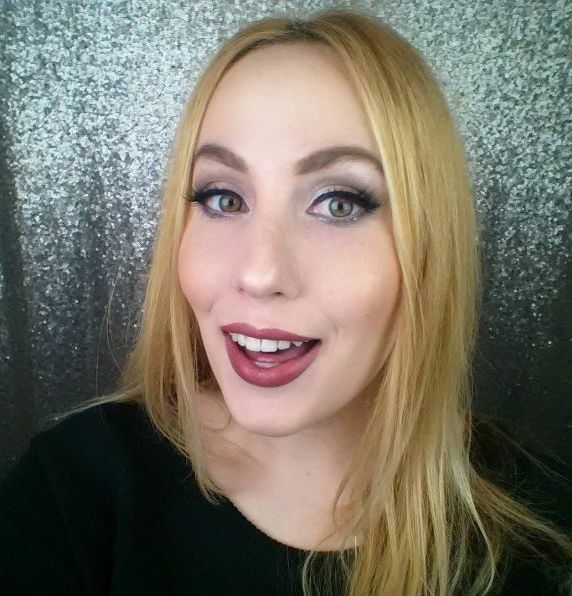 It’s really easy to do, pretty hard to mess up – it’s just a matter of layering properly, while still highlighting the base colour, by letting it peek out. 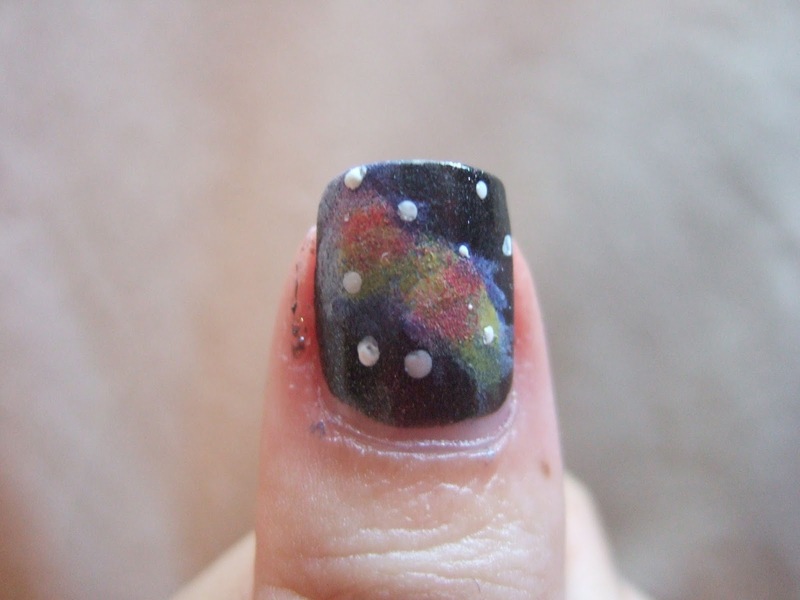 What you will need: A makeup sponge, a dotting tool, a pink polish (used: Sally Hansen, Diamond Strength in “Fuschia Bling Bling), a dark blue (used: Sinful Colors in “Hot Spot”), a white (used: Sally Hansen, Hard As Nails in “Hard To Get”), a black with silver micro-glitter (used: Color Club in “Show Time), a yellow (used: Sinful Colors in “Pull Over”), and a clear glitter topcoat (used Sally Hansen, Diamond Strength in “Diamonds”). 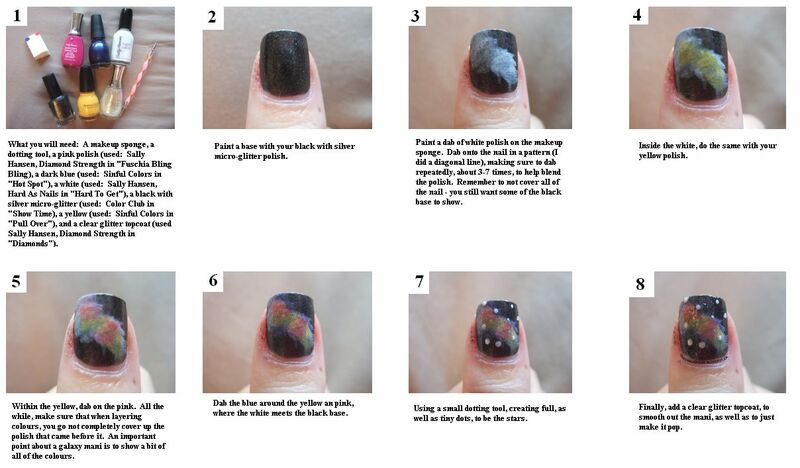 Paint a base with your black with silver micro-glitter polish. 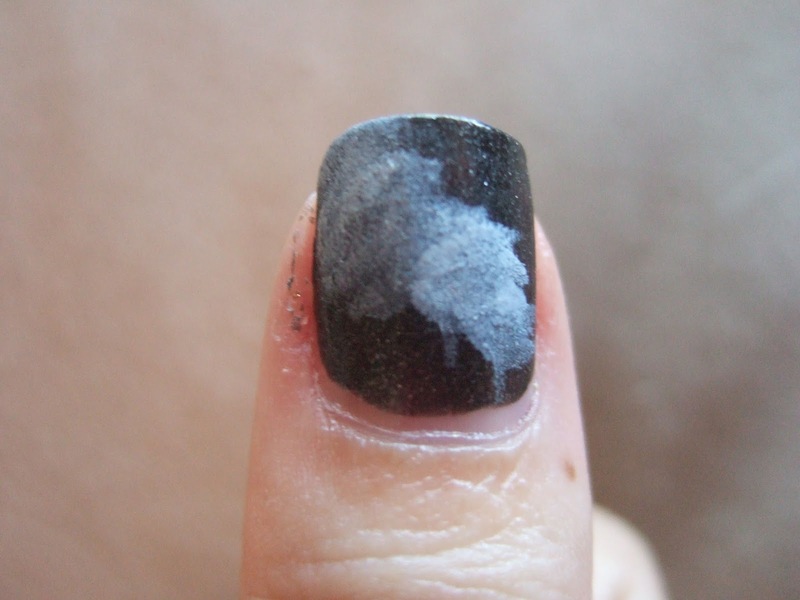 Paint a dab of white polish on the makeup sponge. 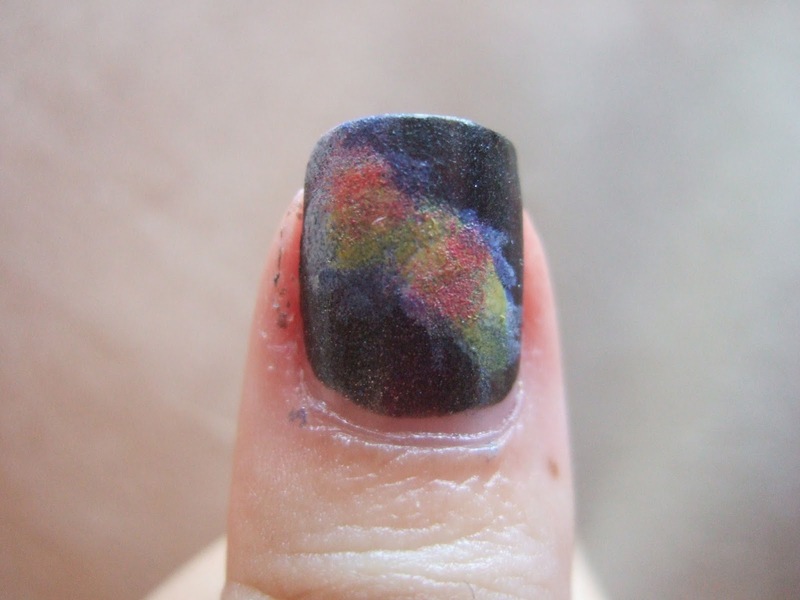 Dab onto the nail in a pattern (I did a diagonal line), making sure to dab repeatedly, about 3-7 times, to help blend the polish. 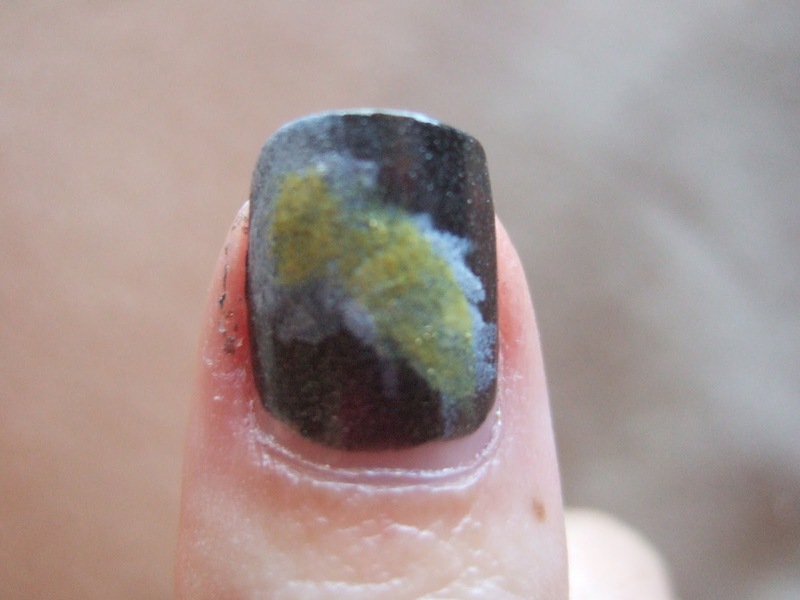 Remember to not cover all of the nail – you still want some of the black base to show. Inside the white, do the same with your yellow polish. 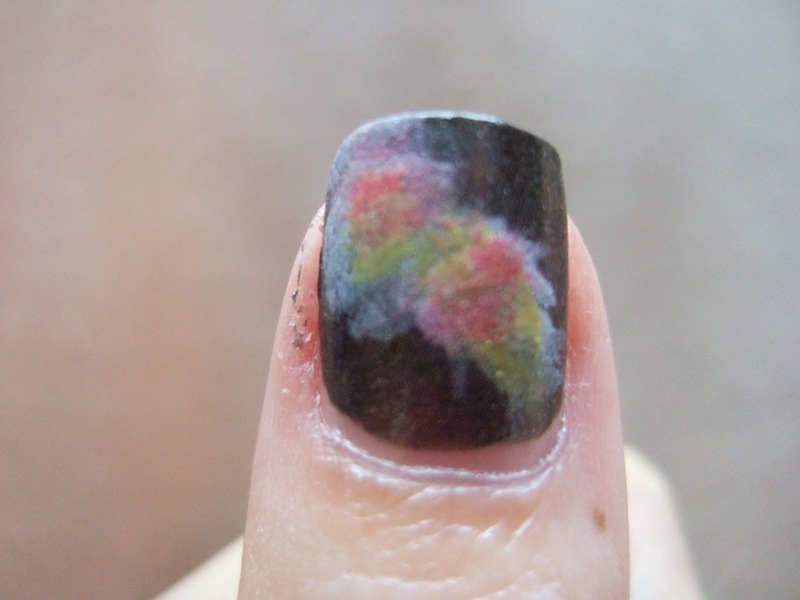 colours, you go not completely cover up the polish that came before it. 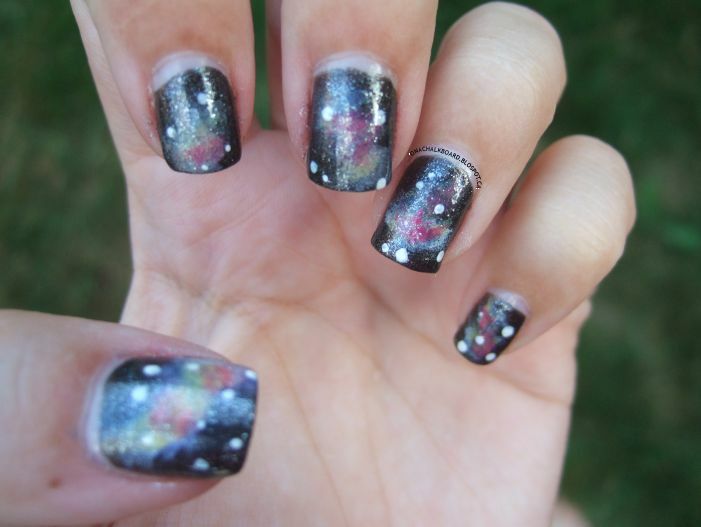 An important point about a galaxy mani is to show a bit of all of the colours. Dab the blue around the yellow an pink, where the white meets the black base. Using a small dotting tool, creating full, as well as tiny dots, to be the stars. 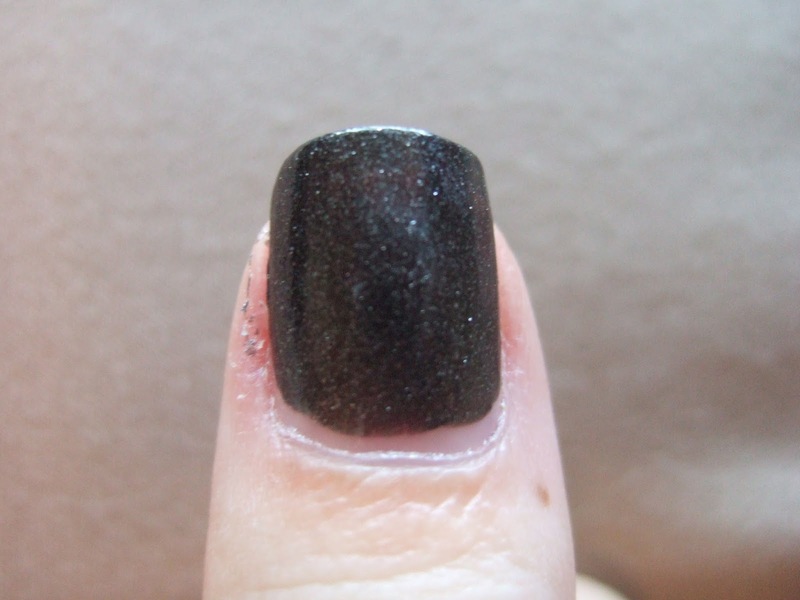 Finally, add a clear glitter topcoat, to smooth out the mani, as well as to just make it pop. Question time *comment with your answer*: If you were attending a FanExpo/Comic-Con, which character would you be?